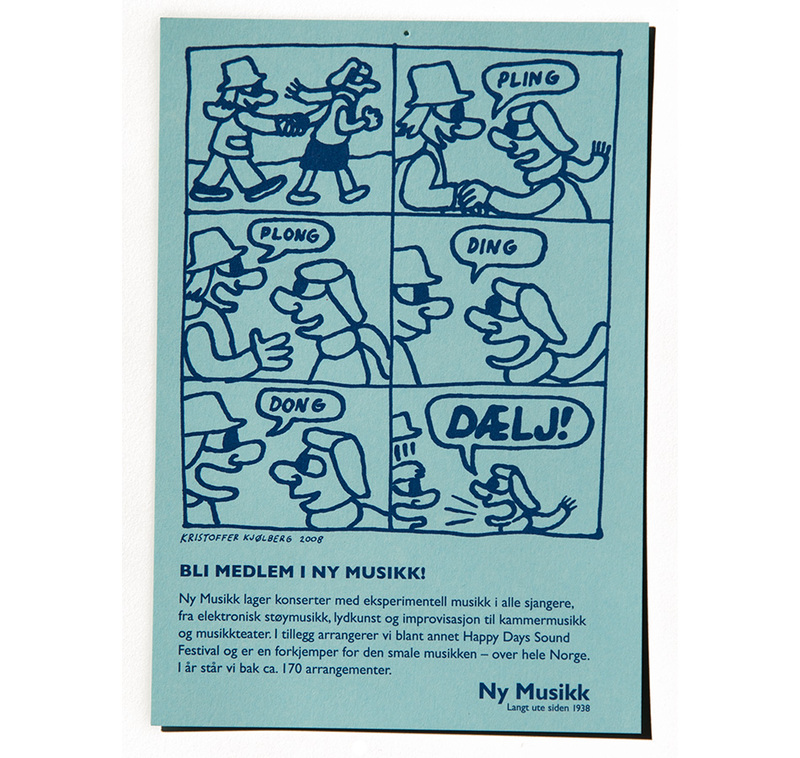 This is a flyer for the organization Ny Musikk. Both the comic and the organization is all about contemporary music. I only made the comic, the design is by Anders Hofgaard over at Node.